After a day that threatened downpours, the evening of 31st May turned into a perfect evening, with sunshine and a gentle breeze. From Church Lane, Pagham, our stroll took us out along the Harbour sea-wall. The tide was out, and for anyone who had not seen the area at high-tide, it was difficult to believe that the acres of green-topped hillocks to our left were actually covered with water twice a day. On our right, a heron was waiting patiently next to one of the reed-lined pools, and the binoculars were passed round so that everyone could get a closer look. 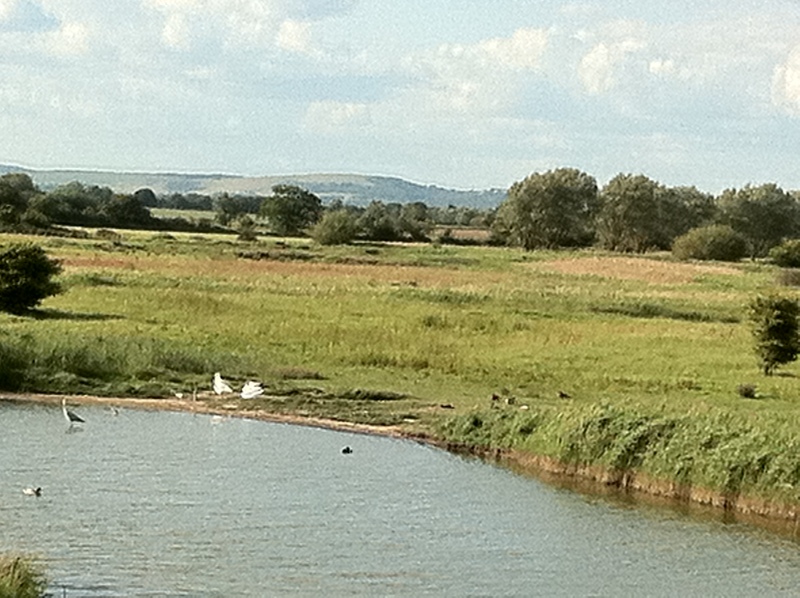 There were ducks and dunlins too, dragonflies darting across the pathway, and the calls of nesting birds in the tall grass. No hills to climb here, just a couple of stiles to swing over as we processed along the well-trodden pathway, chatting in twos and threes, and pointing out the landmarks and the wildlife to each other – no-one noticed the time, or how far we had walked! 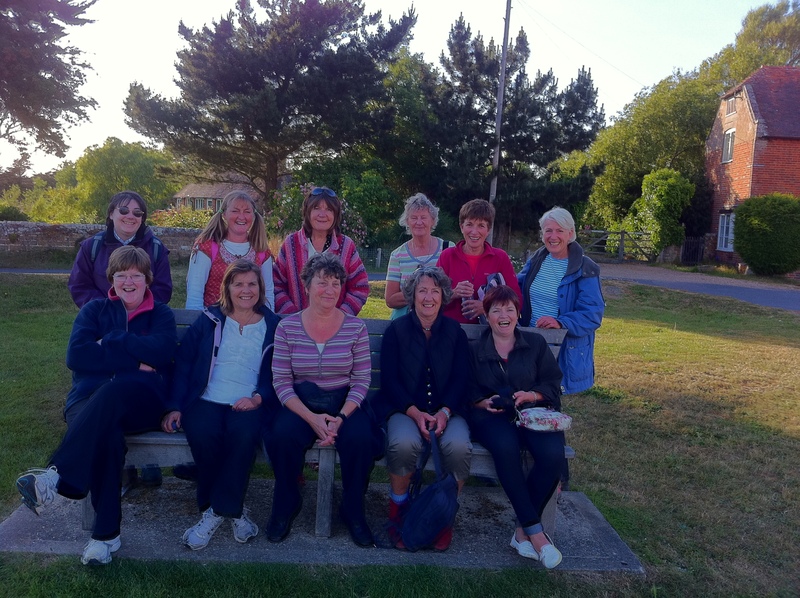 At Siddlesham, we paused for a group photograph, and sat for a short while on the benches overlooking the Harbour. A lone seagull made its way along the bottom of one of the winding channels, its feet barely getting wet in the water that trickled through the mud. The smell of seaweed on the breeze reminded us that in a few more hours the trickle of water would be a flooding tide – but for now the ground was firm and dry enough for us to start making our way back along the edge of the Harbour, at the base of the sea-wall. A nesting swan, secure on one of the higher islets of land, watched us go. A most enjoyable evening was rounded off properly with a well-earned drink at The Lamb with everyone hoping that the weather would be as kind to us on the next walk. STOP PRESS …. BOGNOR WINNER! !